Nikki Wade from mike ashley on Vimeo. Just a quiet drive back to Nikki Wade’s house, developed into a nice interview piece, about a key moment in Nikki’s life that helped give her the confidence to carry on and pursue a career in music. 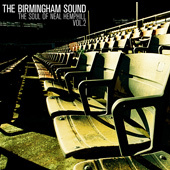 Another great set featuring a whole bunch of stuff coming out of the Birmingham scene from the vaults of Neal Hemphill, and digging the crates with rarities, unknowns and previously unissued. 24 tracks and superbly packaged. Take My Hand by Frederick Knight is also very worthwhile, an artist that I hadn’t really cared for too much previously. Soulful Sound of Music and Strickly Soul by Bobby Dobyne and the Barefacts are two examples of fine upbeat 60’s soul. Stop By by Chuck Mitchell is a deep soul ballad of the highest order and Chuck is fast becoming my favourite artist on this compilation. Let’s Go To The End Together by Frankie is a wonderful sweet soul ballad. I have been critical of some compilations that have dug into the vaults for the sake of rarity, ego, completeness or some other reason and issued substandard packages, which actually are detrimental rather than being positive. I cannot say this about this set, compiled with love, but also coming out with, by and large, a fabulous quality set. The work here is mostly deep soul, but is often quite upbeat as well — a nice change from standard modes of Memphis, Miami, or Muscle Shoals at the time — and proof that the Birmingham scene really deserves a closer look. Titles include “Best Of My Years” and “I’m A Telling You” by Wes Lewis, “Work Hard” by David Sea, “Let Me Be Myself” and “Stop By” by Chuck Mitchell, “Instrumental” by SOB, “Testify” and “Da Da Dee Dee Da” by Cortez Greer, “Let Your Sweet Love Surround Me” and “Matchbox” by Ralph Soul Jackson, “Knock In For A Second Chance” by Lee Wilson, “Set Me Free” and “Take Me Back” by Sam Frazier, “Everybody’s Doin The Worm” by Hope Parker, “Let’s Go To The End Together” by Frankie, and “How When Or Where” by Frederick Knight. A very fine album indeed featuring lots of artists we have featured on my site over the years, friends of life and soul, some indeed are personal friends, so I’ll try not let that affect any coments. Maya Neiada – I Need A Moment is in fact a new name to me and this track is organic percussive and quite funky, a great opener. Chanel’s Lovely Day is majestic, a beautiful track and destined to be one of the top tracks of the year, on one level very simplistic, but on another spellbinding. Lina’s upbeat Feel The Love has enjoyed many plays in the UK’s soul rooms and it’s place is merited on that basis. Lea Lorien – It’s Not Easy actually comes alive on the remix, so look out for that. D’Cheri – I’m Alive take’s you along on the vibe, is nice but doesn’t really go amywhere. LeNora Jaye is held in very high esteem by a good number of people I know and tracks like Taking Over will help to get that view across to a wider public. Another artist that has received some recognition in the UK is Rene Jones and Summer Day is one of her finest. Caprisha’s Flow Like A River is light and airy, one to put a smile on your face, and there’s nothing wrong with that. the ever wonderful (Ok so I said friendships wouldn’t get in the way of a review!) Kelli Sae’s Latina, a joyful percussive Latin track from her first album. More R’n’B than anything on offer thus far Margot B’s Crush will keep the floor bumping at R’n’B jams. Nikkole – Breathe is chilled right down, stripped right back, very slow and seductive – Nice. Rena Scott – I Know It’s Right is an exclusive 2008 Remix to Lola Waxx and it exudes sheer quality, the best track on the album. Syreeta Sha’Nee – It Is What It Is is another dancefloor R’n’B cut. Stacye Branche – The Way You Love Me is very nice, moderately funky, doesn’t quite deliver what it promises in the first minute. Maya says that her name means ‘Illusion’. ‘I Need A Moment’ has been a favourite at Lola Waxx for sometime. Atlanta’s Maya lists her influences as Erykah Badu and Sade and this petite powerhouse was weaned on Earth Wind & Fire, The Emotions and Teena Marie. 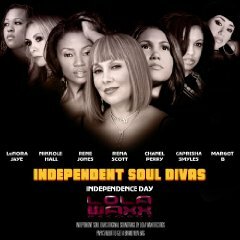 We decided to let Maya open Independent Soul Divas with this bouncy up-tempo neo-soul joint. 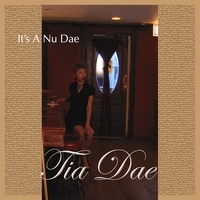 Los Angeles based singer songwriter and founder of Moodstar Recordings; Lina (formerly Atlantic & Hidden Beach) is actually a citizen of the world. Her style reflects this as she seamlessly manoeuvres her vocals over a number of styles from traditional jazz to neo soul. They don’t call her a ‘Vocal Chameleon’ for nothing. Taken from her ‘Morning Star’ album, ‘Feel The Love’ is a slate, which continues to ensure that this lady remains at the top of the Indie game. New Yorker Lea Lorien’s debut single ‘How Would You Feel’ on David Morales’ ‘2 Worlds Collide’ set in 2004 topped club charts globally even knocking out Destiny’s Child and Ciara on the Billboard Dance Radio Play Chart in the US. Having worked with Mary J Blige, Brandi and collaboration with Alicia Keys, Lea is now working on her solo album. Lea’s also the voice of ‘Sunny Funny’, PaRappa The Rapper’s girlfriend on the Playstation2 game! D’Cherie is Lina’s stable mate at Moodstar Recordings. Named after Stevie Wonder’s ‘Mi Cheri Amour’ by her aunt, this lady is surely destined for greatness! ‘I’m Alive’ is a bouncy mid-temp soulful cruise with a hint of a nu soul back groove. Rest assured D’Cheri is breaking through the ‘bump and bass flavour of modern mainstream music’. Atlanta based LeNora Jaye’s influences span the last 40 years from Quincy Jones to Ella Fitzgerald with a dash of Funkadelic. LeNora shuns the current climate of manufactured and processed ‘rump shaking pop tarts’ with a yearning for traditional production values and original songs. ‘Taking Over’ has been receiving regular airplay on the UK’s Soul and R&B stations. Reminiscent of a laid back sweet soul vocal style of the decade that was the 1970s, ‘Taking Over’ is the real deal as is the lady herself. Rene’s debut album ‘Chill Factor’ was received with interest on the UK soul scene and a lot of the support for this album still continues to come from the UK. Rene’s path to ‘Chill Factor’ came in three easy steps, from poet to songwriter to songstress. Well� Atlanta’s Rene makes it look effortless although we’re sure she’ll agree that a lot of hard work went into it. The third Diva from the Moodstar ranks is Chicago native Caprisha. Now based in Los Angeles, Caprisha has travelled the globe sharing the stage with Chaka Khan, Thelma Houston and Eric Benet to name just three. ‘Flow Like A River’ does exactly what it says. Kelli’s credentials are impeccable, Count Basic and Incognito appear on her CV. Kelli has opened stage for legends such as the late Curtis Mayfield and David Bowie not to mention that she’s performed with Tina Turner. Taken from her solo ‘Heroine’ set co-produced with Peter Lord and Jeff Smith (The Family Stand), Latina is a reflection of her Puerto Rican roots. In 2005 Pittsburgh’s Margot B released her debut album ‘Unframed’ which has led on to her opening for the Black Eyed Peas, Kelly Clarkson and Nelly Furtado. Margot’s now on her third album and she joins Independence Day with ‘Crush’. Who was it that once said ‘more bounce to the ounce’? Roger Troutman and Zapp! Well Los Angeles based Nikkole has more than enough bounce to go around. Since the release of her critically acclaimed album ‘A Girl Like Me’ and her infectious ‘Bounce’ single, Nikkole has been building up a strong following not only at home but in Europe and Japan. ‘Breathe’ is a smouldering groove over which Nikkole’s vocals glamorously meander. Look out for the new album Creolepatra. A legend in her own right, Rena has worked with the legends, George Benson, Natalie Cole, and Michael Henderson. Her 1979 album on Buddah/Arista was produced by the powerhouse of Mtume and Reggie Lucas. In the 80s Rena came on board with founding Crusaders members Joe Sample, Wilton Felder and Stix Hooper after the departure of Randy Crawford. In 2005 Rena’s career took a further boost with her highly successful, ‘Let Me Love You’ album on Amor Records and the offshoot single ‘Remember’ that powered its way up the US Billboard charts a year later. Rena’s contribution is a 2008 rework of ‘I Know It’s Right’ from that album exclusively for Lola Waxx. The ‘Little Princess’ (that’s what Syreeta means we are told) of Hip Hop R&B based out of Atlanta is currently cooking up an ‘eclectic flavour’ of R&B, Neo-Soul, Hip Hop and Pop. ‘It Is What It Is’ has the appeal of an upbeat crossover number tailor made for radio playlists. Everybody Loves Stacye! Her first album ‘Believe’ gathered a worldwide fan base from the UK to Japan. Her second offering ‘For The Man I Love’ (as with the first) was finger printed by Lloyd ‘The Dub LT’ Tolbert. We eagerly await her third album, which we understand charts the growth of Stacye as an artist, credible stuff indeed! Stacye’s songs often appear on movie soundtracks so next time you’re watching a Sony or Dreamworks flick, it just could be Stacye’s voice that’s setting the scene.